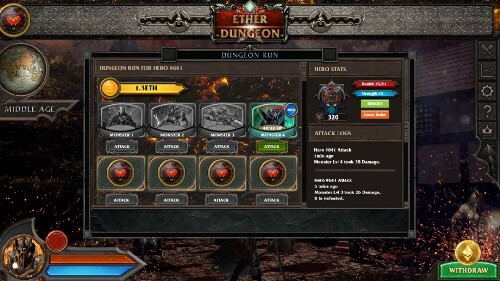 Ether Dungeon is an ethereum blockchain based game, in which player can challenge an unlimited dungeon, fight strong monsters, and get rewards out of it. 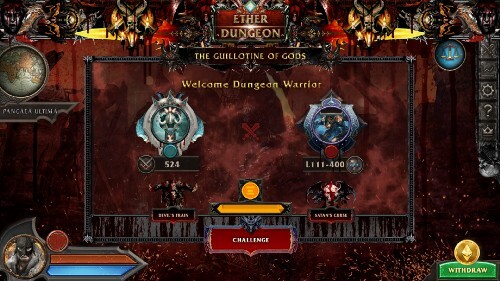 EtherDungeon.io: Age of Myth — New Dungeon: The Guillotine of Gods! 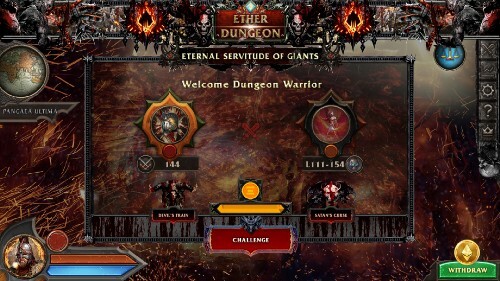 EtherDungeon.io: Age of Myth — New Dungeon: Eternal Servitude of Giants! 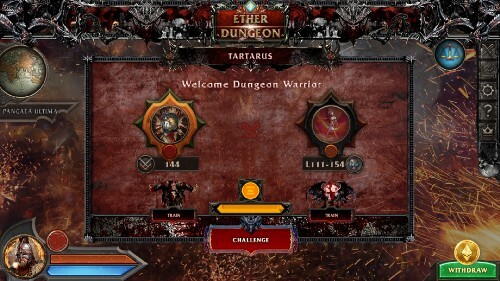 EtherDungeon.io: Age of Myth — New Dungeon: Tartarus!